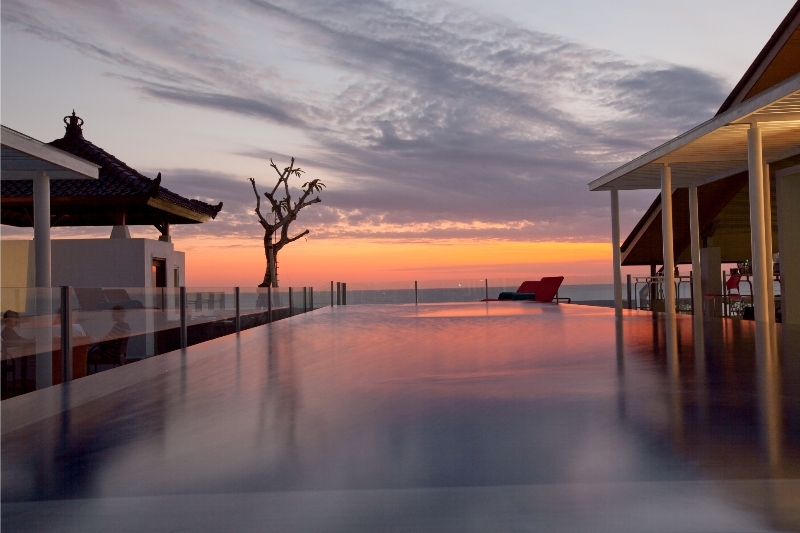 The Best Western Kuta Beach Hotel pool faces the sea and Bali's beautiful sunsets. Bali is like heaven for everybody, especially foreign tourists from Western countries such as America, Australia and Germany. Of course, before you spend your holiday on this island, you want to be well informed about what you can do, which hotel suits you as a Westerner, and which travel agency can help you get the best hotel deal. For guidance on planning the greatest vacation, here’s some information about the best, most recommended places and things to do in Bali. Looking for something different? Trunyan offers you a graveyard full of sketelons and dead bodies on top of the ground. Occasionally, when the wind blows, you might smell the remains of the dead bodies there. Are you mentally prepared for this adventure? Give it a go and get scared later! No matter what, the uniqueness of Trunyan will linger in your mind, even after you get back to your home country. Once in a blue moon, why not try to skydive on the beach? You can make sure it’s very safe because professionals will guide the activity. All you need to do is follow their instructions and you will be absolutely just fine. Surprise your loved ones by being up in the sky. This will be the most exhilarating experience of your life! Not to mention, the most memorable. It’s time to brag to your friends that you have even traveled to the sky, right? Water makes everybody happy, as it has a calming — but also energizing — effect, so we believe you should really try one of the available watersports in Bali. It may be the best way to escape from winter in your country. Dive under the sea to enjoy some beautiful sights. Snorkeling is a fun activity for those who love being underwater but don’t know how to scuba dive. Riding a banana boat with a group and being thrown into the sea is cool, too. We advise booking the Best Western Kuta Beach for many reasons. The brightly-designed bedrooms create an exciting but also relaxing atmosphere. Another thing we like is that the bedrooms are spacious enough so that each person has privacy. If you are interested in water sports, you will certainly have a wonderful time swimming in the swimming pool which faces the sea. Before you pack for your holiday, you will need help from a trusted travel agency. Have you ever contacted Traveloka? It’s a highly committed travel agency which is concerned about your need for a perfect holiday. Therefore, this reliable travel agency has offered a very low price for booking hotel rooms. Just google Traveloka and you will soon find it. Next, search for the hotel we have advised you to reserve, and fill out the form about the hotel to have it booked by the travel agency. Then, let us know how you enjoyed your Bali holiday. This blog post has been sponsored by Traveloka, the largest online travel agency in Indonesia.